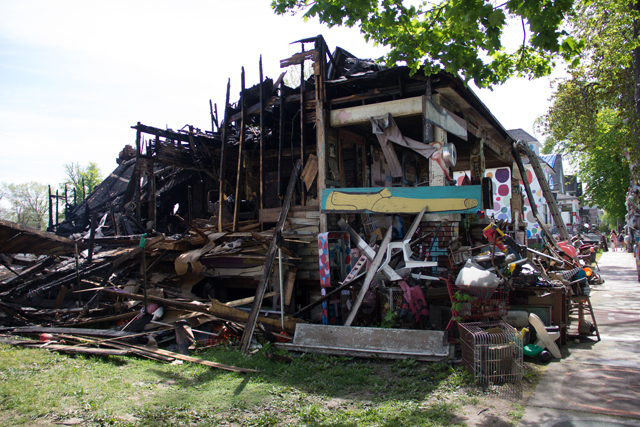 The Heidelberg Project was started as a way to transform the depressing decay of an east Detroit neighborhood, but it has since experienced its own set of devastations. 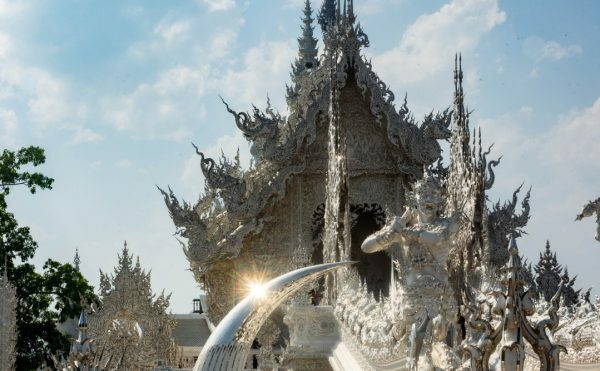 In both 1991 and 1999, parts of it were demolished, and just this past month there was a fire that wrecked its oldest house. 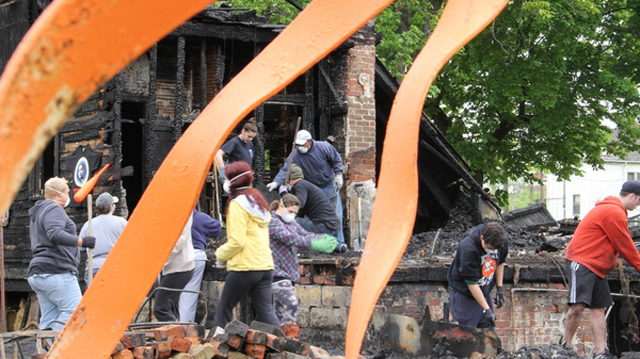 Now the Heidelberg Project is working to turn the charred remains of that structure into a new installation, re-imagining it for a second time from dilapidation. 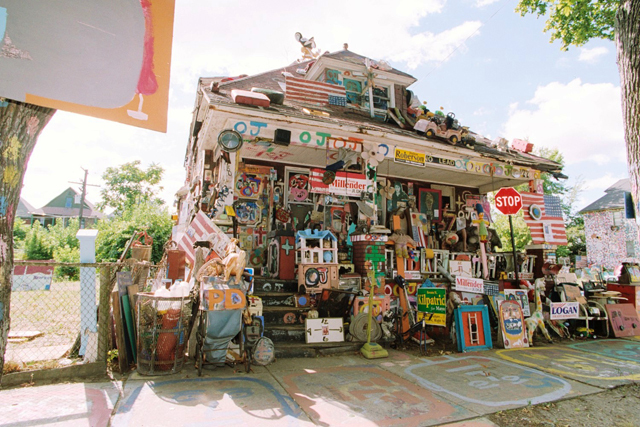 Artist Tyree Guyton started the project on Heidelberg Street in 1986, and it has expanded into a rambling two blocks of houses covered with polka dots and stuffed animals. The goal was to make a place that was totally unwelcoming into a community center, and it’s worked. The Heidelberg Project has become internationally recognized, but that doesn’t mean it’s easy to maintain in a still struggling Detroit. The OJ House was built back in 1994, and was the oldest of the Heidelberg street houses. 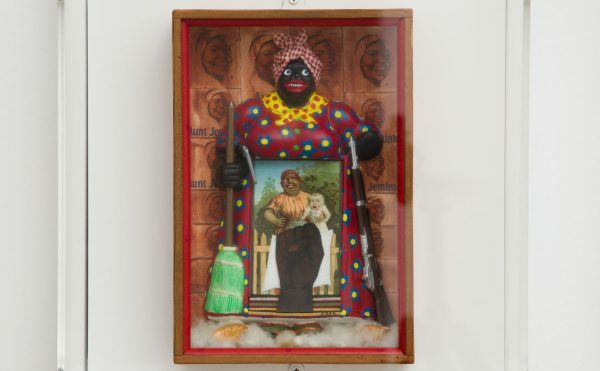 Its name was a response to the city’s 1991 demolition that was called an “obstruction of justice.” Its art installation often changed to reflect a different political message, although the waving statue of Mighty Mouse on the roof was a constant. 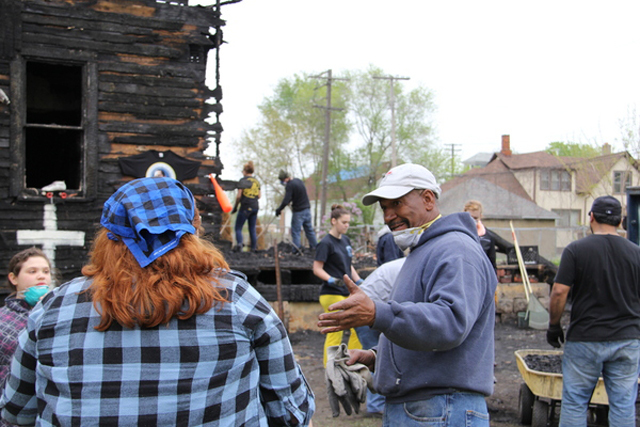 Bunder emphasized that the community response has been strong in support of the transformation project and that their “community is no stranger to hardship and they share the same resilient positive attitude that the world sees from Tyree, confident that Tyree will do something great with the remains of the OJ House.” The arsonist has also been found, according to the Heidelberg Project’s director Jenenne Whitfield, through a tip from the community. 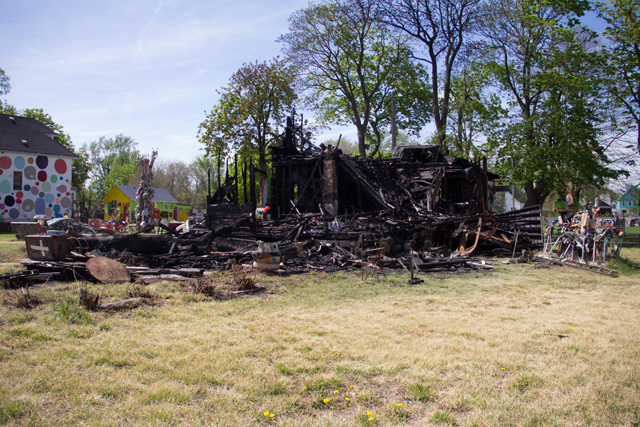 The Heidelberg Project’s “Art from the Ashes: Reclaiming the Canvas” Indiegogo campaign is through June 7.